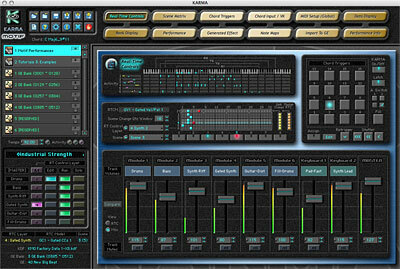 KARMA Motif Software, MIDI Editor from Karma-Lab. 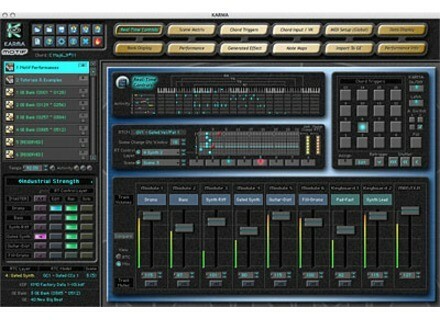 Karma-Lab has released KARMA Motif Software, a dedicated PC/Mac program for the Yamaha Motif XS and XF. KARMA Motif's Performances use the Motif's Song/Mixing mode, where each of the 64 songs is a 16 part multi-track KARMA algorithmic music groove. Each Performance features six KARMA Modules, with a left hand and right hand zone for controlling KARMA and soloing on top of it, and eight different scenes. The Motif's arps are also integrated in each Performance as additional elements that can be triggered via the Intelligent Chord Trigger Transposition features. More information, including links to documentation, tutorials and user forums, can be found at karma-lab.com/karma-motif. Update of Vienna Instruments Sample Player The Vienna Symphonic Library team has updated their Vienna Instruments sample player. Sound Magic Supreme Pianos 2.5 Sound Magic has updated Supreme Pianos to v2.5. Free Waldorf Edition LE Bundle Waldorf Music and Beat Magazine are giving away Waldorf Edition LE, a bundle featuring PPG Wave 2.V, Waldorf Attack and D-Pole filter VST plugins.